“Endless Frontier Super Robot Wars Original Generation Saga.” (yeah, long name is looong). 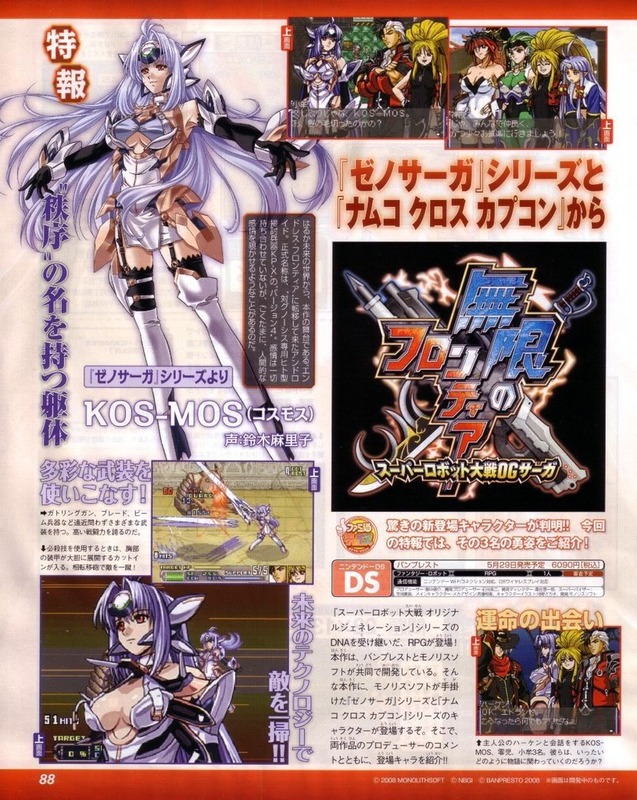 Anyway its an RPG for the DS being developed by Monolith Soft, the makers of Xenosaga. And there was a scanned released (today?) and it made me very happy. This game is now 100% confirmed to be bought. And now I will go and listen to “She is coming back” from the Xenosaga II OST. 4 responses on OMG! This news made me very happy! I really hope it will be! Or I’ll be sad. But I’m hoping. Otherwise I’ll just have to import it, I want this in my collection.